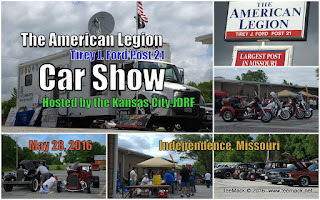 The American Legion Tirey J. Ford Post 21 held a car show on May 28, 2016 in Independence, Mo. 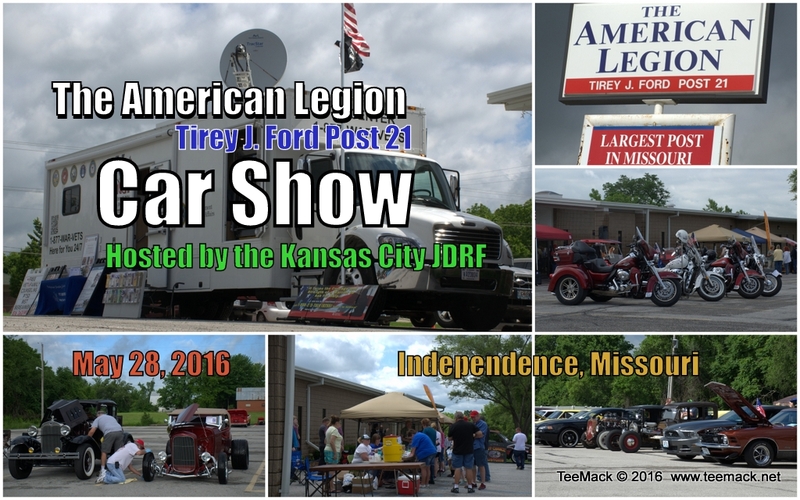 The car show benefits the American Legion Scholarship Program and the Juvenile Diabetes Research Foundation. Entertainment was provided by Paul Luke, an Elvis Impersonator. There was plenty of food on hand provided by the Post. There was also had a 50/50 pot. Approximately 180 vehicles were on display at the car show. Click here to purchase a download or individual prints of the cruise.